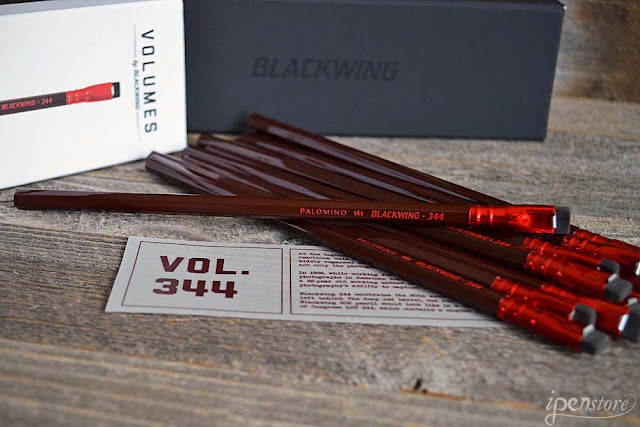 New from Blackwing- Limited Edition Blackwing Vol. 73 - inspired by the beauty of Lake Tahoe. The Blackwing 73 box contains 12 pencils in a Tahoe blue finish and raised texture that mimics the lake's topography. The number 73 references Lake Tahoe's last measure Secchi depth of 73 feet. (The Secchi disk is a circular disk used to measure water transparency. ) Each pencil features a silver ferrule, white eraser , white imprint, and the Blackwing soft graphite formulation. 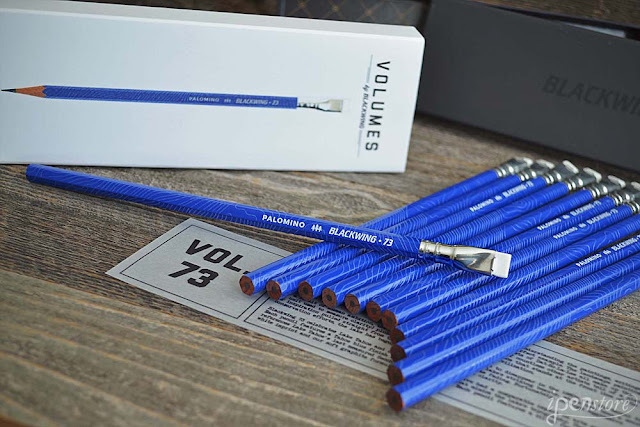 Blackwing "Volumes" pencils are custom designed limited editions released 4 times a year. Each pencil features a model number and design intended to honor and celebrate cultural icons and events. If you love Palomino Blackwing pencils, and you are interested in purchasing previous limited edition releases, we still have a limited quantity left of a few. Scroll down to view, and click on any photo to go directly to the listing in our store! Vol. 205- released March 2017. In 138 BCE, Chinese explorer Zhang Qian set out on an expedition west. The journey lasted more than 13 years and laid the foundation for the Silk Road, a trade route that was instrumental in opening up communication between Asia and Europe. One of the most prominent goods traded along the Silk Road was jade. Besides its natural beauty, jade was believed to protect its owner in their travels, encourage creativity and stimulate mental agility. 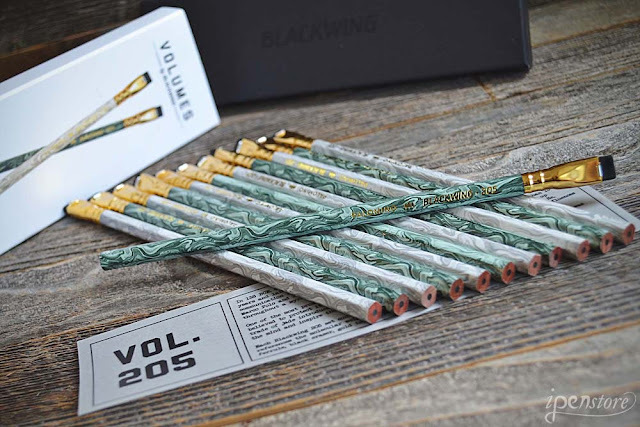 The Blackwing 205 box contains six green jade pencils and six white jade pencils. The number 205 references the molecular weight of jadeite, the most sought after form of jade. Vol. 530- "The Eureka Moment"
Vol. 530- Released December 2016. The model number, 530, is a tribute to Sutter's Mill, California Historical Site No. 530, where gold was first discovered. 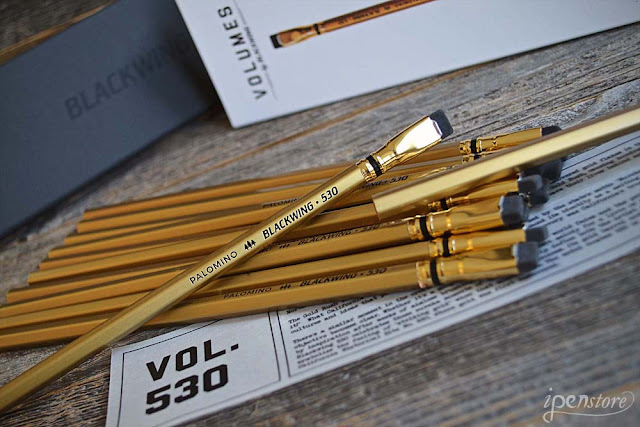 The Blackwing 530 has a gold barrel and striped ferrule. The graphite is extra firm, the same as the sold out John Steinbeck model released last year. Vol. 344 released September 2016. The Blackwing 344 celebrates the 80th anniversary of the historic photo "Migrant Mother" and the artistic legacy Dorothea Lange left behind. The deep red barrel, red foil imprint, bright red ferrule and black eraser reflect what a Blackwing 602 pencil would look like in a darkroom. The model number references Library of Congress LOT 344, which contains a number of her photographs, including the iconic 'Migrant Mother." Vol. 56 released July 2016. 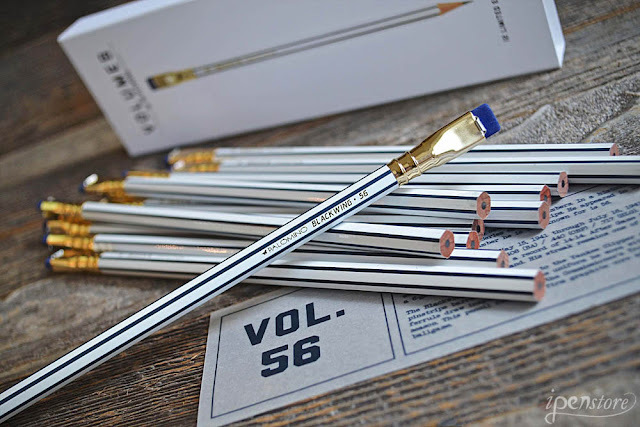 The Blackwing 56 pays tribute to New York Yankee Joe DiMaggio. His legacy is cemented by numbers. In a historic 13 year career, his teams won 10 American League pennants and 9 World Series championships. He appeared in 13 All Star games and was named American League MVP 3 times. However, the number he is best known for is 56. Joe DiMaggios's 56-game hitting streak, the longest in baseball history, began on May 15, 1941 and ended on July 17. The streak remains one of the most unreachable records in all of sports.